Leipzig, in the east of Germany, is a city with a rich music tradition. 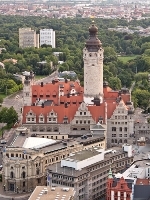 Leipzig city is well known for its festivals, trade fairs, and conferences. The Leipzig Book Fair is one of the city’s most famous events, attracting travellers from around the world on an annual basis, while gaming and automobile conventions also do much to boost tourism in Leipzig. Outside of these, there are several activities and attractions in Leipzig for all ages. There are plenty of things to do and experience in Leipzig. Leipzig is truly a city that ticks every box in terms variety and excitement. However, culture and the arts are at the heart of everything here and as such museums, whether looking at a history of the arts themselves or related to Leipzig, are always popular attractions. Widely known as the musical capital of Germany, Leipzig is home to regular music events, many of them open air and completely free to attend. Spending some time at such an event will give you an idea of just how important music, and the arts in general, is to the people of Leipzig. However, Leipzig’s best activities and attractions aren’t simply dominated by these options, there is plenty of opportunity for keeping the children entertained and spending some time outdoors, too. Where Leipzig really comes into its own is the way in which it offers a variety of activities for the whole family. Leipzig Zoo is probably the best example of such a place, not only is it brilliant for discovering and enjoying some of the world’s most beautiful animal species, it offers a unique learning experience as you walk around and speak to the zoo attendants and visit some of the regular exhibitions and events that take place. The zoo is one of the most varied in Germany, and gives a real experience of the ‘real world’ habitats of its occupants, rather than just putting a tiger in an enclosure and stopping there. Elsewhere, who doesn’t love a theme park? The Belantis Amusement Park is one of Germany’s biggest, filled with rides suitable for all ages, whether they’re looking for a gentle ferris wheel experience or a white-knuckle adventure. Outdoor experiences offer you a great opportunity to get active and enjoy activities and attractions in Leipzig with Regiondo. 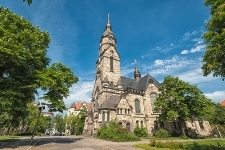 The surrounding area offers several activities, too, which make the whole Leipzig tourism experience even better. The lakes to the south of the city are excellent for water-based activities, other sports and action, or sunbathing on a hot day, while the forests to the west of the city are perfect for anyone who loves exploring wildlife. Such is the size of Leipzig that it is advisable to travel via public transport. Although busy, buses and trains generally run on time, and run regular services to all areas of the city.